The Friendship House in Prince Rupert has been a part of this community for quite some time; this year the Friendship House is celebrating it's 60th birthday. In 1958 Dr. Bob Elliot (a United Church minister), achieved his vision of establishing a Friendship Centre in Prince Rupert. With the support and funding of the United Church, a venue had been rented to house a men's hostel and a milk program for children. The Friendship Centre's services quickly expanded as it began to offer a large variety of new programs. By the early 1960's the Friendship Centre had acquired support from government sources in order to facilitate renovations to house the new programs. By 1963 the Friendship Centre was completed and reopened as the Friendship House. 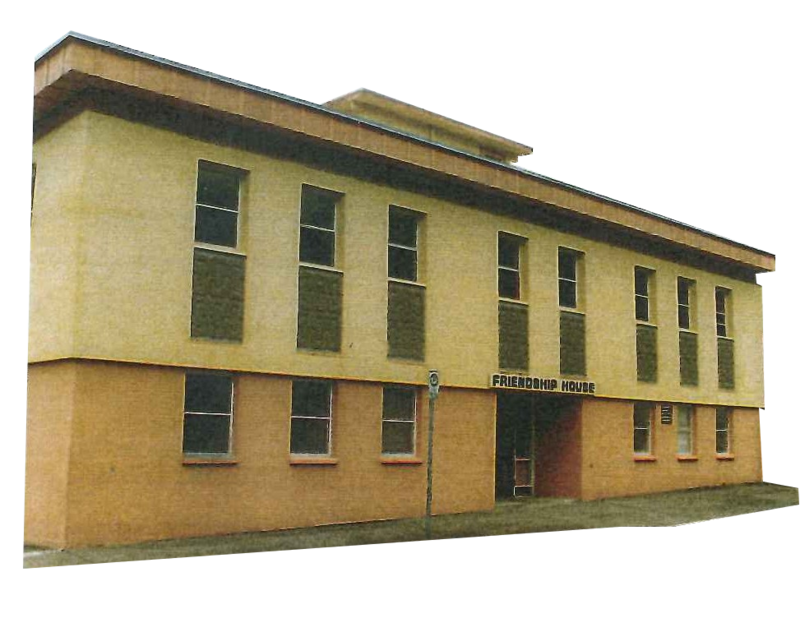 In 1968 the Friendship House had answered a request by the City of Prince Rupert to temporarily house the Prince Rupert Library as it's original building had burnt down. By 1976 the milk program developed into a nursery school that operated alongside a youth street work program, alcohol rehabilitation program and a hostel. The hostel supplied emergency lodging, food and hospitality to those who were experiencing financial or other difficulties. Aside from their own organized programs, the Friendship House also became a meeting area for multiple independent groups; such as the Carving Room and Club 61. The Friendship House then transitioned from a hostel into an inclusive organization that still provides assistance to the community with a multitude of programs and services to this day.